Item RX50SH, weight 500g, ERD 545mm. U shape 50mm deep rim profile makes this road clincher rim pretty stiff, but still aerodynamic performance. 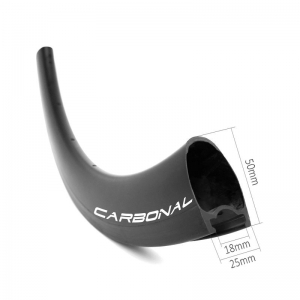 Durable and aerodynamic enough for road racing, training, climbing, and also cyclocross riding. Item RX30SH, weight 430g, ERD 585mm. 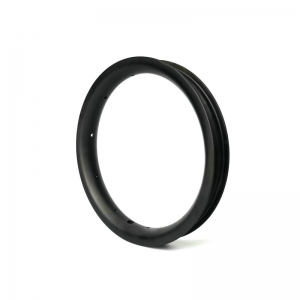 This 30mm deep clincher rim is the lightest rim in 25mm wide rim brake clincher range. 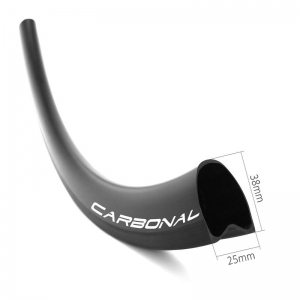 Wider but lower profile makes this rim unmatched aerodynamic, it has the lowest possible cross wind sensitivity. Item DX38S, weight 400g, ERD 569mm. 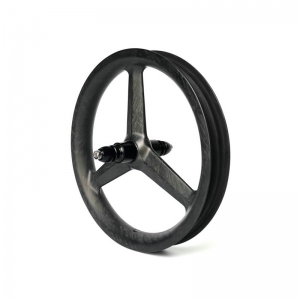 This road 38mm deep bicycle disc brake wheel rim is 25mm width, wide u shape rim profile offered improved aerodynamics, and toray T800 carbon be used to make this rim stronger, lighter and stiffer for road disc brake wheels. Item DT30S, weight 290g, ERD 585mm. 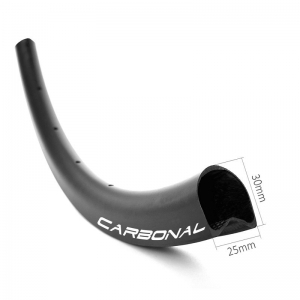 Wider and lower profile makes these tubular road disc bicycle tubular rims super lightweight, perfect handling on corners, cross winds conditions, it's a good choice for road and climbing. Item RT38S, weight 360g, ERD 569mm. 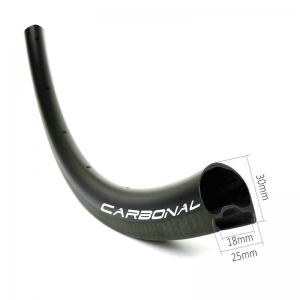 700c road wider 38mm bicycle wheel tubular rims are super light and with wider width, the strength is much improved. It's the best choice for light weight road bicycle wheels. Item MX735TR, weight 390g, ERD 560mm. 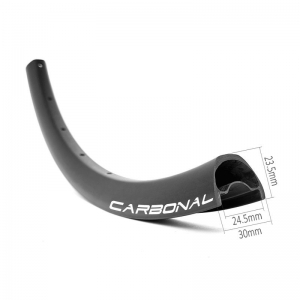 This 35mm wide & 23.5mm deep version 27.5er mtb trail carbon rim is the most popular shape of carbon fiber mtb rims, it's perfect for all mountain and trail mountain bicycle. Item MX730XC, weight 320g, ERD 560mm. 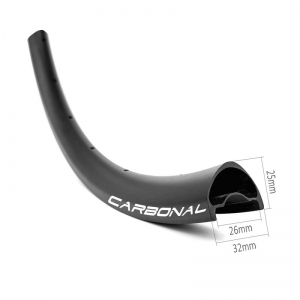 This new carbon 650b bike rim is light and stiff, it's our lightest 27.5 rim for XC, the best choice for super light 650b carbon wheel. 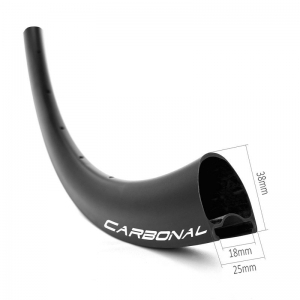 It's hookless and tubeless ready, perfect for your 650b hardtail bike. Item MX932XC, weight 350g, ERD 595mm. This asymmetric 3mm offset 29er mtb rim balances drive and non-drive side spoke tension to create a more durable and well-balanced light mtb wheel, it's perfect upgrade for your xc mountain bike. 2019 Taipei Cycle booth S0918, Hall 2, 4F, welcome to visit us! 12" balance bike rim, push bike rim & wheels. Item CB12-W30, weight: 95g±5, ERD 192mm. 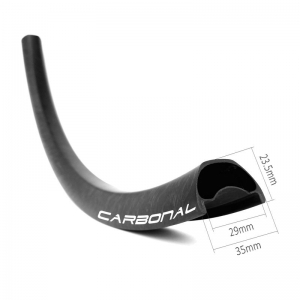 Wider 30mm width but lower 17mm deep rim profile makes this rim unmatched aerodynamic, light and stiff, excellent performance for kid balance bike, push bike. Item CB12-301, weight: 175g±10. Wider 30mm width but lower 17mm deep rim profile makes this trispoke carbon balance bike wheel unmatched aerodynamic, light and stiff, excellent performance for kids balance bike, push bike. Please read on, stay posted, subscribe, and we welcome you to tell us what you think. Hi, please feel free to contact us!